Junior hasn't shown this on Junior's blog yet. 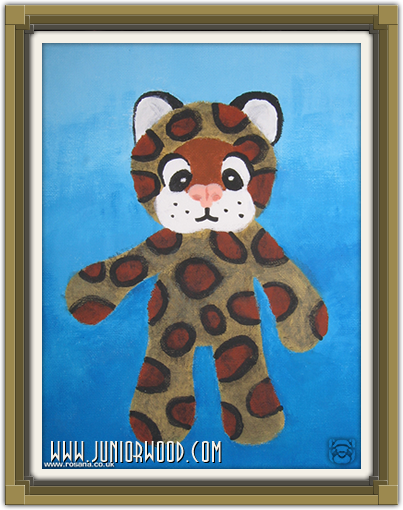 But mommycat has painted Junior a while ago. Junior is very proud of this! Below you can see the painting. Submitted by Paul on Fri, 12/18/2009 - 00:16. I finally can comment on your weblog too, but you won't regret this. Nice picture, I think it's time to replace the Mona Lisa for a real Juniot!! Submitted by Junior on Sat, 12/19/2009 - 00:20. Awww Junior agrees! Junior has a better smile, no?